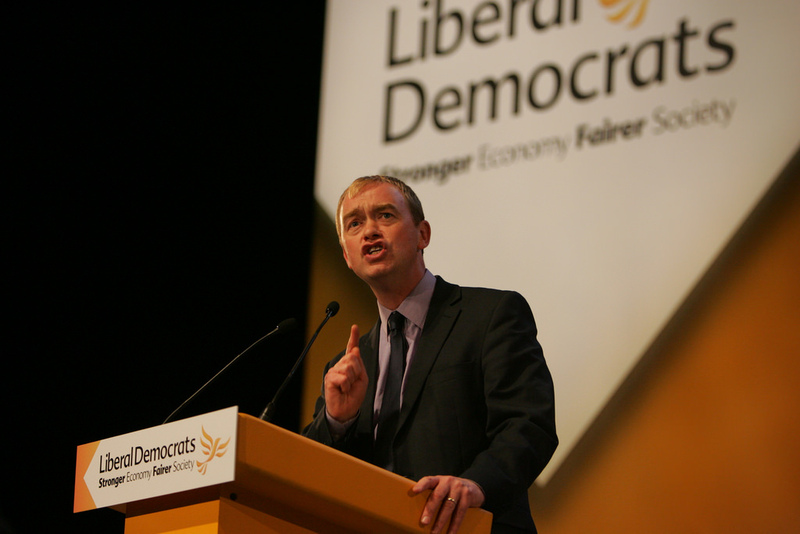 Farron’s Lib Dem dilemma: look left or stay centre? This promises to be a fascinating party conference season as the main parties – which now has to include the SNP and UKIP – contemplate a radically changed political landscape in the wake of the General Election. Farron: face left or stay centre? First to gaze out across this new, uncharted landscape is the Liberal Democrats, one of the parties with a new leader at the helm, Tim Farron. He faces a bigger but potentially more promising challenge than he probably expected when he was elected to succeed Nick Clegg. He knew he was taking on a party that will find it tough to come to terms with its abrupt return to the edges of Parliamentary politics. As delegates arrive in Bournemouth they will come face-to-face with some of the consequences of that with a huge drop in the external interest in their conference: fewer lobby and pressure groups, less attractive external speakers at fringe meetings and a greatly slimmed down exhibition. It is their new reality. Picking the party up and giving it a new sense of direction was always going to be tough, especially as many influential figures can’t bring themselves to acknowledge how much damage the decision to form a coalition with the Tories in 2010 did to the party. It has cost them dear and there is an urgent need to distance themselves from the last five years. The party members showed some understanding of that awful leagcy by electing Farron over Norman Lamb, who would never have been able to shed the millstone of having been a minister in that government. Farron was initially tempted to set out a path towards a more radical, left-of centre position. Instinctively that is where he feels most comfortable. It is also where the Lib Dems have lost most support, especially members, over the last five years. But the election of Jeremy Corbyn has further changed the landscape and left Farron with a dilemma. He must now be tempted to preach a more centrist message in keeping with the Clegg era, hoping that this will appeal to Labour supporters, possibly even a handful of Labour MPs, frightened by the sudden shift to the left the election of Corbyn represents. Put Labour’s leftward realignment alongside the unleashing of the Tory right now they have a Parliamentary majority and the temptation to play the voice of moderation, sensible centrist card must be weighing very heavily with Farron and his advisers. It would be a mistake to be tempted down that route. What I see in the new mood in politics is a desire among people for politicians to stand up for what they believe in, not to define themselves by reference to where others may stand. The Lib Dems suffered terribly in May because people no longer understood what they believed in after five years in a Tory-led coalition and a General Election campaign in which the core message was about being in the centre of wherever the other parties happened to be at the time. Farron should go with his instincts and move the party back to its former left-of-centre stance with radical policies that challenge the consensus on a range of topics. That may not instantly appeal to right-of-centre Labour supporters looking for an immediate safe haven but it will be a better medium term strategy. My guess is that the Corbyn leadership will implode at some stage in the next three years and the Blairites will reclaim the Labour Party. That will disillusion those attracted by Corbyn’s challenge to the way politics is conducted and by his advocacy of once unpopular causes but who are not totally sold on the hard-left philosophy that underpins his politics. Those people whose interest in politics has been rekindled by Corbyn’s victory will then be looking for a new home. That home was once and should always be the Liberal Party and its Liberal Democrat successor. If the Lib Dems are stuck offering a wishy-washy let’s not frighten anybody and be in the centre of whatever is going on elsewhere they will lose that opportunity. They elected Farron knowing what he stood for and should let him lead according to what he believes. The worse that can happen is that some of the rightward leaning Orange bookers who have done so much damage to the Lib Dems decide that they really are Tories after all. Left or Centre? That is Farron’s dilemma. We we find out over the next few days how he has faced up to it.